In stock -This product will ship today if ordered within the next 14 hours and 38 minutes. 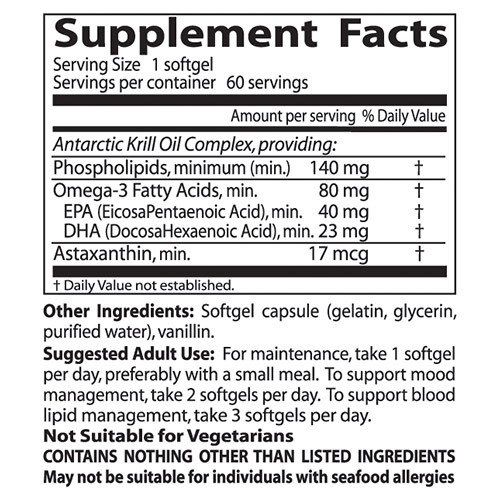 This is a 100 percent authentic product from sustainably harvested Antarctic Krill. It provides omega-3 EPA and DHA linked into phospholipids, together with the versatile carotenoid astaxanthin. These nutrients are vital lipids, building blocks for the cell membrane systems that manage most of the important life functions. 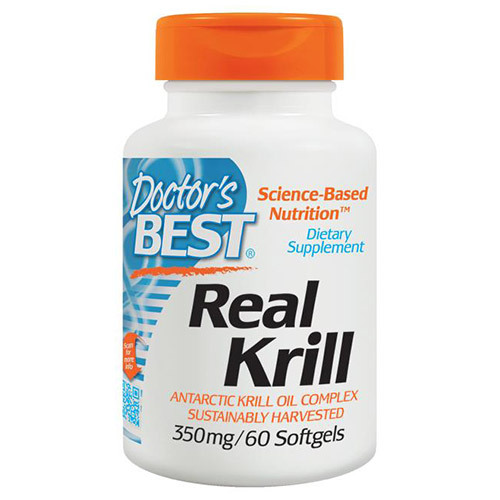 Real Krill provides them in molecular forms that have superior functionality over fish oils. 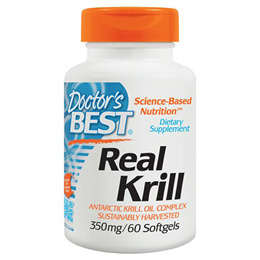 Real Krill is a 100 percent authentic dietary supplement, a lipid nutrient complex sustainably harvested from the Antarctic Krill, Euphausia superba. Krill are shrimp-like ocean creatures (Crustaceans) that feed exclusively on algae, the primary producers in the marine food chain. Antarctic krill are so abundant they could be the largest single species mass on the planet. Krill thrive in the frigid Antarctic seas due to their ample content of the long-chain omega-3 fatty acids DHA (DocosaHexaenoic Acid) and EPA (EicosaPentaenoic Acid). By remaining fluid at temperatures way below freezing, these vital lipid nutrients assist krill to routinely survive, feed and reproduce. Softgel Capsule (gelatin, glycerin, purified water) Vanillin. For maintenance, take 1 softgel per day, preferably with a small meal. To support mood management, take 2 softgels per day. To support blood lipid management, take 3 softgels per day. D not take supplements as a substitute for a varied balanced diet. 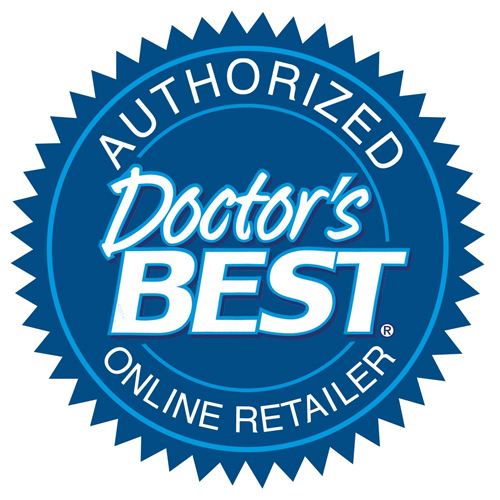 Below are reviews of Real Krill - Antarctic Krill Oil - 60 x 350mg Softgels by bodykind customers. If you have tried this product we'd love to hear what you think so please leave a review. Good source of omega 3 from a trusted brand.